Join world leading designers, directors and playwrights, as well as academic experts, for a one day symposium of talks and workshops considering the construction and representation of the real in theatre and performance. Developed from initial research into Jocelyn Herbert’s designs for The Wesker Trilogy (1960), Staging the Real will explore historic and contemporary approaches to evoke or present the real or realisms in theatre and performance. From re-evaluating notable realist designs from theatre history to engaging with more recent stagings of the real in verbatim or documentary theatre, this symposium will consider the complex relationship theatre practitioners have in their attempts to access reality and represent social, personal and political actualities on stage. Staging the Real will consider how realisms and variations of the real have been shaped and staged, as it examines critical and practical questions such as: how do designers, directors and writers approach and collaborate in the creation of the real for performance? What are the challenges or parameters for practitioners in constructing and visualising the real or realism? And, to what extent can the theatre form or reframe the social and personal experiences of realities in performance? As well as attending the symposium, participants will have the opportunity to explore Jocelyn Herbert’s designs with an archive handling session and visitors will also be able to go on a guided tour of the Playing with Scale exhibition. Staging the Real is convened by Matthew McFrederick as part of the Camberwell, Chelsea, Wimbledon Graduate School Public Programme. Both Staging the Real and Playing with Scale have been organised in collaboration with Camberwell, Chelsea, Wimbledon Graduate School Public Programme, the Jocelyn Herbert Archive and the National Theatre. UAL Students and staff should use the promo code when booking tickets. PLEASE NOTE REGISTRATION IS FROM 9.30AM. 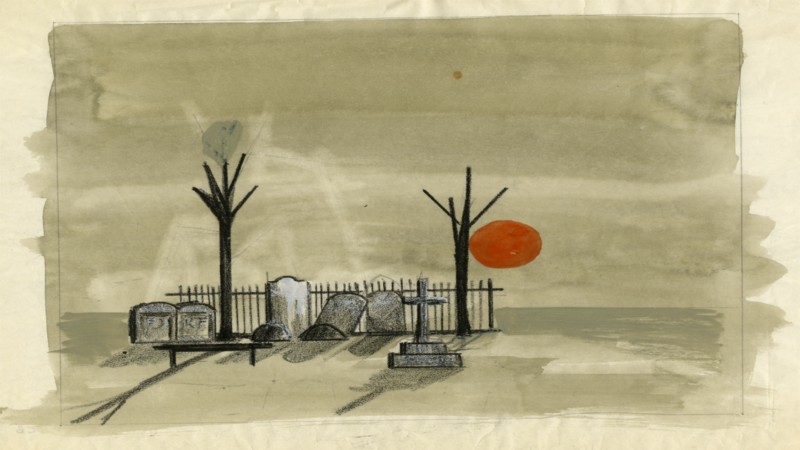 Image: Jocelyn Herbert’s set design for Serjeant Musgrave's Dance (1959) by John Arden at the Royal Court Theatre. JH0358. © Jocelyn Herbert Archive at the National Theatre.